There are few places across the globe that can lay claim to being the birthplace of a particular pop culture innovation. 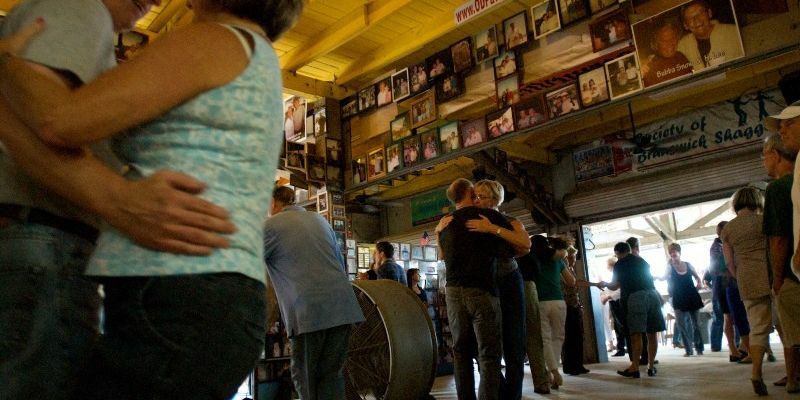 The Grand Strand holds bragging rights when it comes to dance, as it is the birthplace of the world-famous dance known as the Shag. Developed in the 1940s, the Shag provided a fun and rebellious escape from the day-to-day monotonies of life in coastal South Carolina. During this time period, teens and young adults fled to the beachfront clubs and lounges in order to listen and dance to rhythm and blues music, which at the time was considered largely inappropriate due to its romantic themes and sultry tunes. Inspired by a variety of dances including the Jitterbug, the Big Apple, and dances seen at African American jazz clubs, the Shag was born right in the heart of the Grand Strand. The dance grew in popularity, and this cultural phenomenon has spread throughout coastal Virginia and Georgia, as well as the Carolinas. The dance has continued to entice locals and visitors alike to Ocean Drive in North Myrtle Beach every year for the SOS Fall Migration. This year, from September 16 to 25, Shag enthusiasts will come together for ten days of fun-filled dancing and comradery. SOS lounges featured in this year's Fall Migration include Fat Harold's, Duck's, Duck's II, the OD Arcade, the Pirate's Cove & the clubs at the OD Beach & Golf Resort. Keep an eye out for live bands set up along Ocean Drive, and test out your dancing skills with the Shag instructors onsite. Meet at Ocean Drive and Main Street on the first Sunday and Monday of the event for a spectacular block party, which will feature some of the biggest names in shag and beach music. Experience the fun of dancing in the street and shagging with thousands of other shag fans. The block parties will also have street vendors with food and drink selections. Whether you're a lifelong shag or dance lover, or you're brand new to this iconic piece of American pop culture, don't miss out on the fun-filled extravaganza known as the SOS Fall Migration.